Deb has spent her entire career in the graphic design and sales arena where she has developed a deep understanding of human behavior. This perspective has helped her excel in communication and marketing. Her talent is broad-reaching, which has enabled her to create an agency that is unique, efficient and effective. As the head of Bailey Design & Advertising, Deb is the energy and driving force that gives the agency shape. 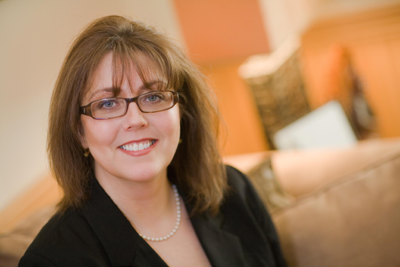 Deb works very closely with each department within Bailey Design to ensure that the quality of our work is exceptional. Mantra in business #1: Use our belief in our talents, work ethics, common sense, creativity and communication skills to create things so full of positive energy that others cannot help but be attracted to them, benefit from them and esteem them great. Mantra in business #2: Actions speak louder than words. Deb grew up in beautiful historic Honesdale, Wayne County, PA and still resides here with her family. She is a proud mother of 3 grown daughters and grandmother to three grandchildren. She spends a lot of time with her amazing family and in volunteering in her community. When she is not with her family she is hiking, perfecting her “new” hobby of oil painting, biking or working-out. It is safe to say that she enjoys doing just about everything. One of the Top 25 Business Women in Northeast PA! Creator/Founder/Manager/Marketing and Public Relations Chair: Art Extravaganza: A portal to the Visual Arts in NEPA, NY, NJ. The Tri-State Area’s Largest and Most Prestigious Art Show and Auction Event– Proceeds benefit the Children’s Literacy Programs in Wayne County. Mission: It’s simple! To be one of the best local entertainment and lifestyle publications that people living here and visiting, can depend on, and turn to, as a resource for the great 4 season things our area offers. Visit www.connections-magazine.com for more information and complete copies of each issue. In 1999 bought the 20-year old local marketing and public relations agency worked at for 5 years, and renamed it Bailey Design and Advertising. In 2002 bought the 3 ½ year old publication Wayne Pike Connections , renamed it, and turned it into a profitable and popular publication in the area.